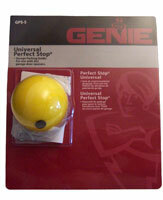 Genie Garage Door Openers. This category contains all of the available accessories for your garage door opener. If you are still unsure of part or item you are looking for please Contact Us. Genie Screw Drive Rail Extension Kit. Genie Excelerator Rail Extension Kit. Genie Chain Glide Rail Extension Kit. Used on Genie Chain Glide openers with an "L" in the model number.